This page is a culmination of hours upon hours of blood, sweat, and tears accumulated across 8 months. 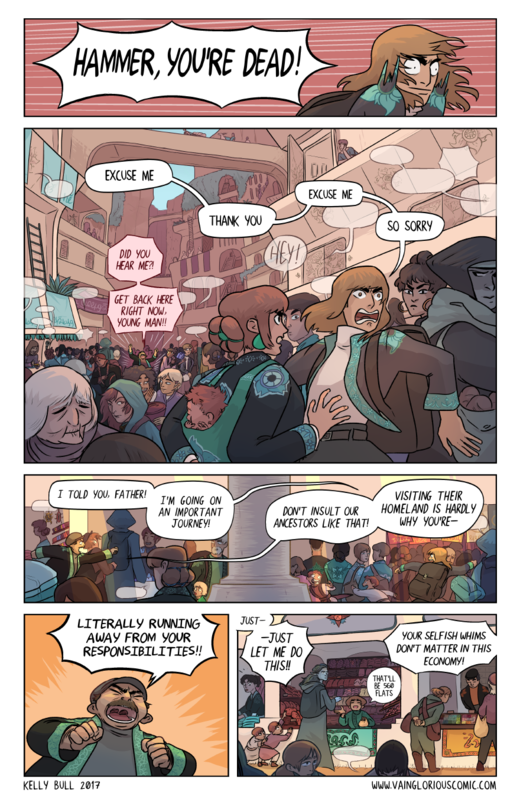 Please do yourself a favour and don't draw crowd scenes (I say as I continue to script several pages worth of crowd scenes) I originally planned to have this page completed with the rest of the buffer weeks ago but here I am editing this page hours before I upload it. But I think it was worth it! I ended up really happy with how this turned out! Updates are back to normal so we'll seeing each other every Monday and Thursday as usual! Thank you for reading and for all your great comments! I'll see you next Monday!